Simple Tactics That Can Turn Your Bathroom From Gross Into Gorgeous! The bathroom, it’s a pretty essential room in the house, isn’t it? Imagine if we didn’t have one, or we still had to go outside to use the facilities like they did in the old days? It would be a nightmare! Happily, we no longer have to do this, although that doesn’t mean the bathroom isn’t without its problems. In fact, it can be a real pain to keep looking clean and tidy. Luckily there are some tactics you can use to make this a great deal easier. Read on to find out what they are. Tile grouting and seals can be a real problem area when it comes to keeping your bathroom looking decent. After all, it is here where the mould tends to collect and cause problems. In fact, it is a widespread occurrence to see mildewed or moulding in bathroom grouting that remains despite thorough cleaning. Of course, there are several ways of dealing with this issue. For the short term a grout whitening solution like the one, you will find here can help. However, if you are looking for something more long-term then removing the old mildewed grout and re-laying it is usually the chosen option. Although, it is worth bearing in mind that you can kill two birds with one stone here and use bathroom cladding like the products available from Bathroom Marquee to decorate instead. Thus giving you a fresh, clean look and negating the problem of keeping the grouting clean altogether. 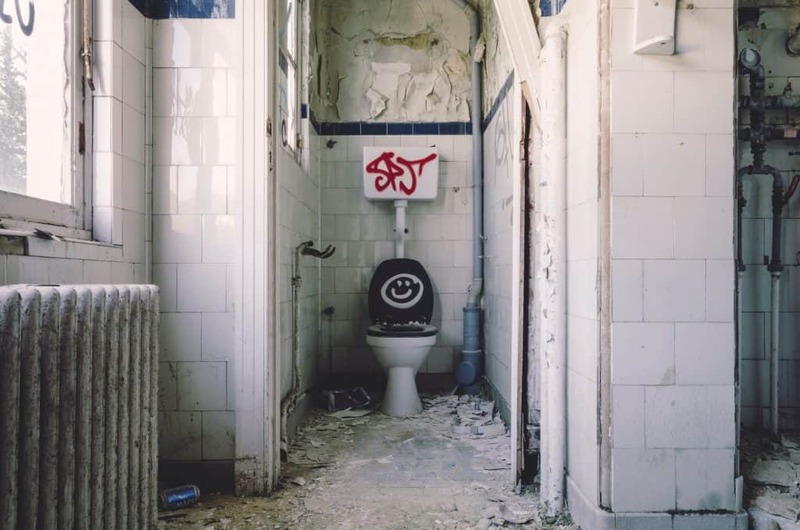 There has recently been a considerable movement toward minimalism in home decor and design lately, and there is certainly something to be said for this when it comes to bathrooms. After all, they are often damp environments that also can be dusty. Something that can easily result in a nasty slimy layer of dust and debris forming on any items that are left out over time. What this means is that if you want to keep your bathroom looking gorgeous rather than gross, it is a good idea to keep anything that isn’t entirely necessary stowed away in a cupboard or other form of storage. This is important because not only does it make your bathroom seem more substantial and more cohesive design-wise, but it also keeps the surfaces clear which make it much easier to clean. Lastly, when it comes to maintaining a gorgeous looking bathroom, it’s vital that you and the rest of the family learn the value of cleaning as you go. What this man is that instead of leaving every mess and spill, and wet towel until the single deep clean once a week, you clean up any issues or problem and keep the place and neat and tidy as possible. Yes, it may take a few extra moments from your day, which can be tough to find when you are a busy parent. However, in the long run, it can be a massive help in ensuring your bathroom is gorgeous and not gross!